Lafayette Federal checking is different than bank checking. It’s better. File your taxes the smarter way and save up to $15 on TurboTax! 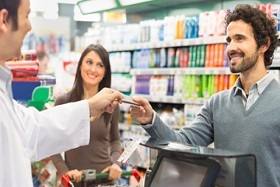 Lafayette Federal members can get up to $15 off TurboTax® federal products. TurboTax translates taxes into simple questions about your life, so you don't need tax knowledge - or an appointment - to get your taxes done right. TuboTax SmartLookTM even connects you with an expert live, on-screen so you can get answers when you need them. Start TuboTax today and save! State filing charges apply. Limited time offer for TurboTax 2018. Terms, conditions, features, availability, pricing, fees, service and support options subject to change without notice. Intuit, TurboTax and TurboTax Online, among others, are registered trademarks and/or service marks of Intuit Inc. in the United States and other countries. Other parties' trademarks or service marks are the property of their respective owners. Visit http://turbotax.intuit.com/lp/yoy/guarantees.jsp for TurboTax product guarantees and other important information. Learn more about Montrose Travel. 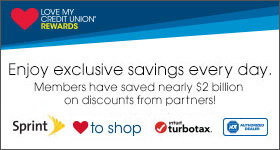 We've teamed up with Love My Credit Union to provide our members with exclusive discounts and benefits from a variety of trusted partners including Sprint, TurboTax, Love To Shop and ADT. Could you use help with college tuition? If you are a member of our credit union and entering your freshman through senior year of college or trade school, then you're eligible for our $12,000 Scholarship Contest.